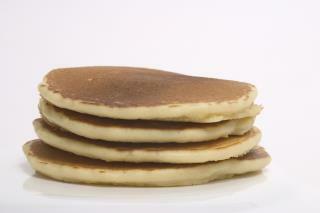 (Newser) – Middle school teacher Kyle Byler thought the Lancaster, Pennsylvania, school board was going to fire him at a meeting Tuesday night because he served students pancakes during state testing. But that was before his story got nationwide attention. The district now says the 8th-grade teacher social studies teacher, who was suspended without pay on April 10 after an assistant principal found him making whole-grain pancakes on an electric griddle, has been cleared to return to work Thursday, Lancaster Online reports. School District of Lancaster spokeswoman Kelly Burkholder says "dismissal action" was never on the agenda Tuesday and no further action will be taken because "the personnel matter has been resolved with the employee, who is scheduled to return to work." Amazing parents; the real star was the parent that organized the others. Read this for some interesting background for public schools: https://www.amazon.com/Dumbing-Down-Curriculum-Compulsory-Schooling/dp/0865718547/ref=sr_1_2?ie=UTF8&qid=1524155052&sr=8-2&keywords=john+gatto+education Gatto is a teacher and has several interesting books. Thank God SOMEBODY has some good sense! This only furthers my belief that those (for the most who part) who don't have what it takes to be in the classroom, become administrators. How on Earth someone could see what this man did as worthy of being suspended without pay, let alone fired, is ridiculous. When students know they teachers like this, they will work harder to find a way to succeed. Anyone who doubts that has forgotten what middle school is like.